I have moved this post and lots of other WordPress posts over to my new site at https://wpsteward.com, where I will continue publishing helpful tips for website owners going forward. We just finished WordCamp Raleigh 2015, and I wanted to take a few minutes to verbally process what went down. 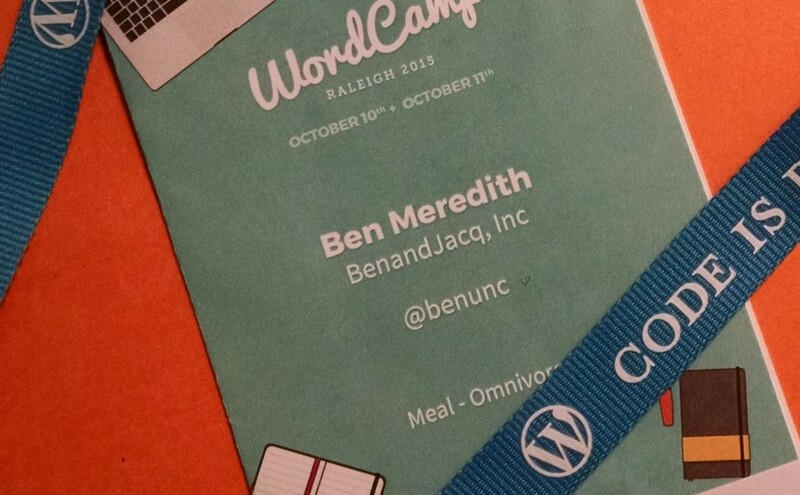 First, I was not an … Continue reading WordCamp Raleigh 2015: An Unsuspecting Organizer’s Wrapup.